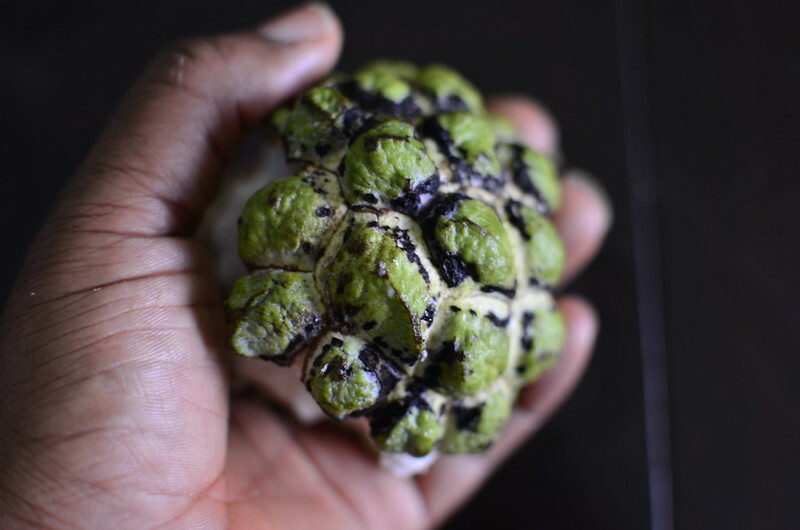 In season – custard apple. 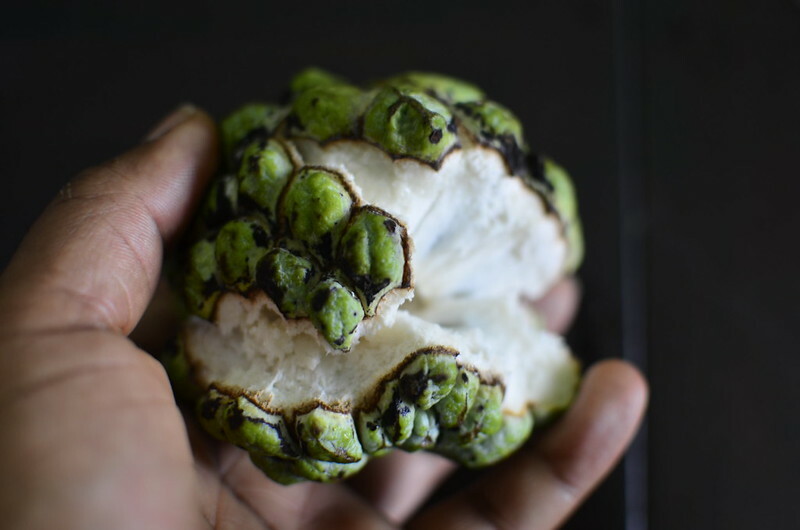 This was a gift from my oldest daughter who has a best friend who has a grandmother with a custard apple tree in Lagos, Nigeria. Convoluted, this source? 🙂 They went on a visit and this was what they brought this back for me. 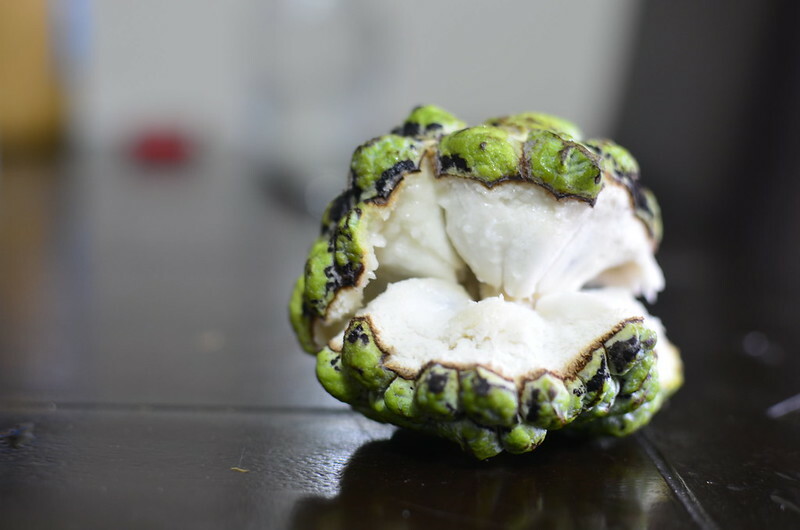 This cousin to soursop. Oh my heart. That my children know the gifts to bring me, that they know what excites me, moves me gives me such joy. 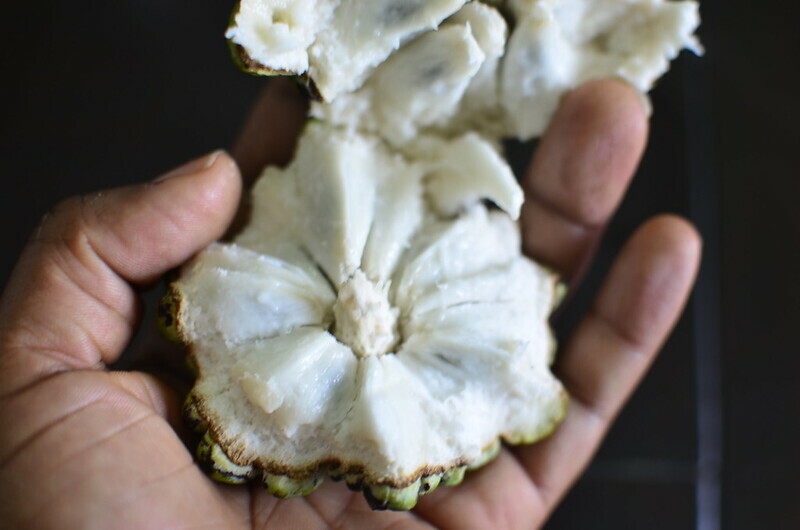 I’d never ever tasted this creamier, softer-fleshed cousin to soursop so it was magic. 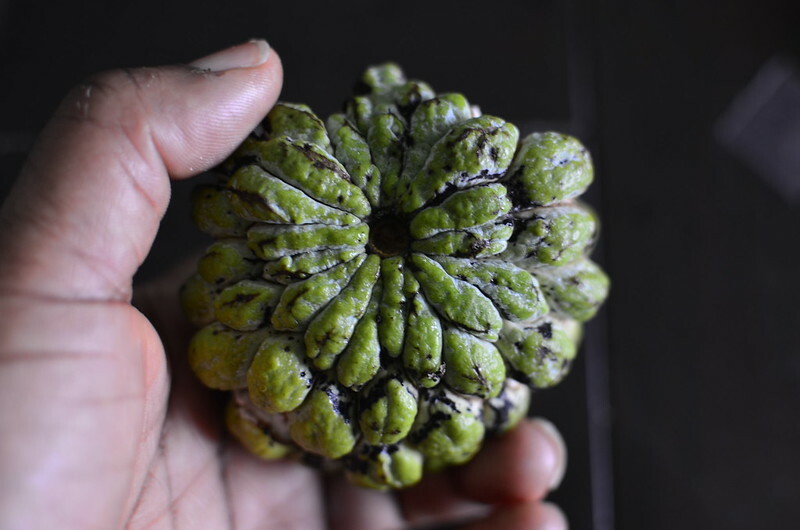 The fruit is knobbly, it resembles me of a tortoise’s shell – individual segments of skin that appear tiled, with a slightly peaked top and a flat base. The bottom segments on the base makes me think of flower sepals. The fruit tends to open into two halves – a top and bottom one, with the flesh coming together in the centre. And the taste of the flesh. Oh, I like. It is softer, creamier, not as juicy or sour as soursops. Mind the seeds though, if you chew or break them open, they are poisonous. Please avoid this. So happy to discover more and more of the fruits which grow in Nigeria. I have saved the seeds…which I intend to plant. We’ll see. Apparently, Grandma also has star fruit so I might be expecting more gifts. Woo hoooo.